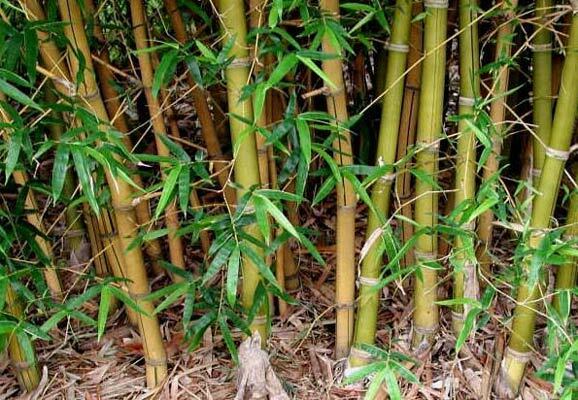 With golden green striped culms and vigorous growth, Kimmei is tough in all conditions. It will need some thinning out and pruning of lower branches to look its best. 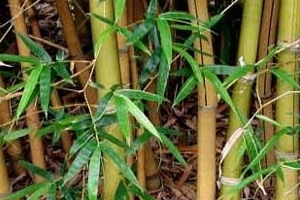 This is definitely an unbellied form of the Bambusa ventricosa species. The variation in this species which has produced the striations is lovely but it has lost the “belly” of the parent cultivar.